One of the Syrian chlidren who hopes to benefit from publication of the book. Celebrity chefs have collaborated on a new charity cookbook, Soup for Syria, to help fund food relief efforts for Syrian refugees. Autumn is nearly upon us and it’s time for soup. 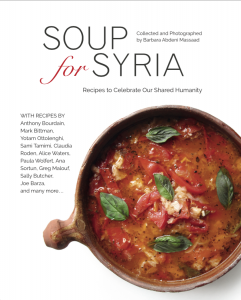 Enter US publisher Interlink, which is launching a cookbook, Soup for Syria that contains a collection of recipes contributed by international chefs; moreover profits will be donated to help fund food relief efforts for Syrian refugees via the United Nations Refugee Agency, UNHCR. Already the author of three cookbooks, one of which was published by Interlink, Massaad enlisted the help of publisher Michel Moushabeck. Moushabeck decided to turn to celebrity chefs to get the visibility that would result in sales, hopefully creating an international movement to bring some relief to the now 4 million Syrian refugees in Lebanon and neighboring countries. Fortunately, internationally renowned chefs and cookbook authors such as Anthony Bourdain, Alice Waters, Paula Wolfert, Claudia Roden, Sami Tamimi and Yotam Ottolenghi responded positively, creating momentum so that a total of nearly 50 contributors gave recipes for soups that spanned the globe. Massaad is also a founding member of Slow Food Beirut and Slow Food’s founder, Carlo Petrini, wrote the book’s foreword. Moushabeck hopes to interest many more international publishers during the Frankfurt Book Fair in October. 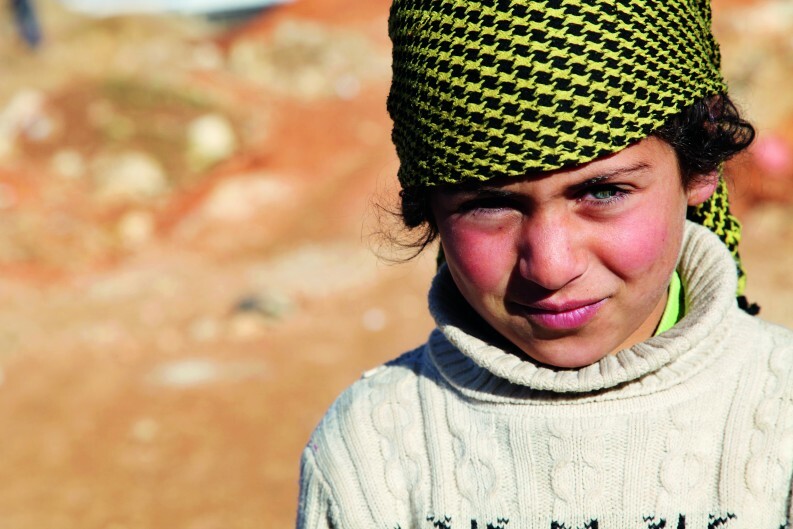 Soup for Syria’s crisp layout uses Massaad’s photographs of refugees—many of which are beautiful portraits of women and children—alternating with images of the wide variety of soups including Claudia Roden’s Borlotti bean and pasta soup, Nur Ilkin and Sheilah Kaufman’s Turkish chicken and rice soup or Greg Malouf’s fennel soup with lemon and cinnamon.